Copenhagen is building a new skyline out of reclaimed bricks and wood. I am fortunate enough to live in one of the greenest cities on the planet: Copenhagen. The 2014 European Green Capital is a city where four out of 10 people commute by bike. It has more than 390km of cycle lanes and has set itself the ambitious goal of becoming carbon neutral by 2025. But now the city is moving to the next level of green transition by asking: what if you could recycle whole buildings? Sustainable architects Lendager are wholesale devotees of the circular economy. 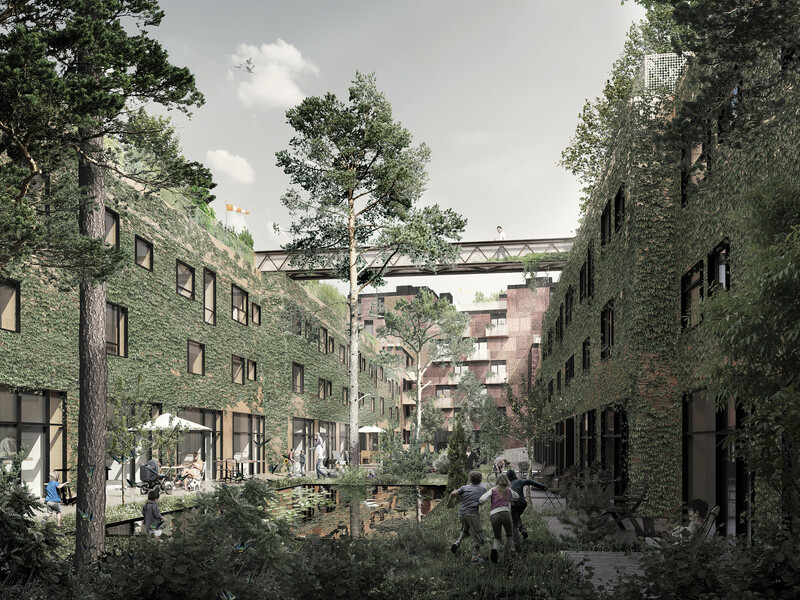 Its flagship Resource Rows development began by asking a question: as Denmark’s population urbanizes at a clip – Copenhagen alone is expected to see a 15% population growth in the next 10 years – why are only people and not their buildings moving to cities? Located in Copenhagen’s Ørestad district – a reclaimed wetlands that has become a showcase for urban design projects – Resource Rows uses walls from abandoned rural dwellings as part of facades, reducing carbon consumption by 70% but also providing a weathered character that sets the development apart from your average city new build. The buildings interact intelligently with nature, harvesting rainwater for toilet-flushing and irrigation, while green roofs and vertical gardens encourage biodiversity and enhance community. And that’s not all: in Resource Rows the company has recycled masses of waste concrete and kilometres of surplus wood produced during the expansion of the Copenhagen Metro which ordinarily would have been junked. As a citizen of our capital, I am happy that my city is doing well and growing, but I am concerned about what is happening in the country as a whole. Mass relocation is a problem that affects rural areas across Denmark and, as people leave their country houses for lives in the city, the difficulty of reselling them means many are left abandoned, creating a blight of abandoned buildings. I am more than happy, therefore, that Lendager has spotted this gap and has started to bridge it. While these buildings are nothing but waste in one location, impossible to maintain and too costly to haul down, they also contain materials of proven quality that are ready certified and non-toxic. 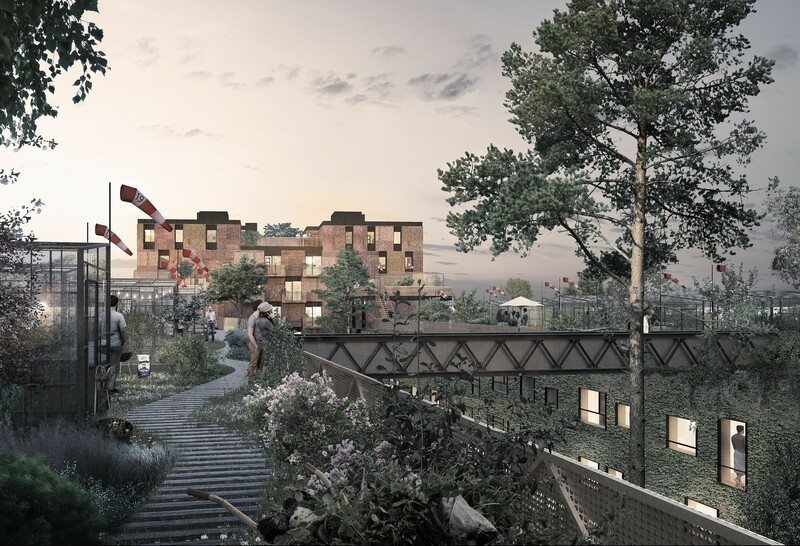 Recycling them means Resource Rows is “Denmark’s first ever residential area built out of materials from abandoned homes”. But the real feather in Lendager’s cap is possibly its Local Recycling Centre in the harbour district of Nordhavn. With its ingenious design – built from 90% upcycled materials – it reimagines your average, dreary, municipal recycling facility as a fun, instructive and social space, which makes the sorting of waste an intuitive and interactive process. To drop off their recycling, visitors enter sections of the building constructed from the items they would like to deliver – the glass room handles glass, the plastic room handles plastic and so forth. At the middle of the circular facility is a swap shelf, where people can hand over items that are still functional or need only light repairs, and a space that can be used for lectures, workshops and flea markets. Through the building, you can see a real attempt to make recycling part of the city’s culture and conversation and not just part of its infrastructure. Lendager aren’t the only Danish company seeing gold where others might see dirt. Cleantech firm Gamle Mursten, which literally translates as "old bricks", takes a more hands-on and selective approach to recycling abandoned rural dwellings. The firm’s team of engineers retrieves old bricks from houses built before 1960 (sadly, the bricks from buildings made after 1960 cannot be reused because of the use of mortar and cement), before cleaning them by hand and machine using a patented technology and selling them to construction firms or using them to build homes, colleges and warehouses. 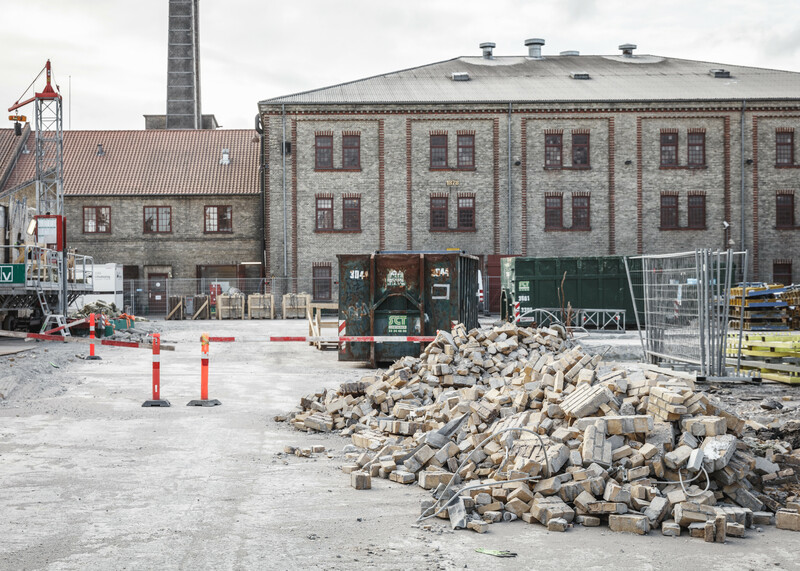 A famous example is the old Carlsberg Brewery in Copenhagen where most of the bricks have been retrieved and used in new buildings, giving the new building a history and a soul from the very beginning. According to the company, “every time you replace a new brick with a reused brick, you save the environment 0.5kg of CO2”. But that isn’t the only benefit: by tearing down derelict buildings, these connoisseurs of waste clear a path for much-needed rural development. Meanwhile, despite the labour involved in cleaning the bricks, Gamle Mursten’s projects often cost less than they would if built from scratch. They also bring the brickwork’s history to life once more, as the new owners discover information about the old buildings that are now part of their homes. Finally, Copenhagen has a restaurant with a similar appetite for change. Designed by Genbyg, Danish purveyor of upcycled building ware, the Nordic-themed Vaekst in the city’s old Latin quarter is centred around a remarkable indoor greenhouse constructed from reused materials – the ideal space to enjoy its vegetable-based menu. The bar shelves were once file drawers in the National Museum of Denmark’s archives, while the counter consists of former factory floorboards and overhead lamps have been fashioned out of old milk containers. Most interestingly of all, the mahogany deployed throughout the restaurant had an eventful previous life as a grandstand at an athletics stadium in Lyngby. So there we have it: Copenhagen, a city with architectural practices to cheer about. We are turning the city in to a model for the circular economy, with citizens leading the way, because it makes perfect sense environmentally, economically and for the people who live there.